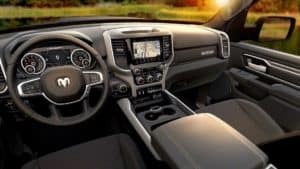 The new 2019 Ram 1500 has arrived at Normandin Chrysler Dodge Jeep Ram Fiat. From tires to taillights it is simply the best, with more space, more storage, and more technology. 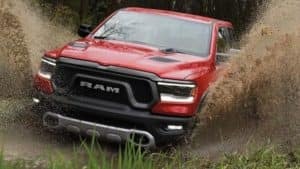 The 2019 Ram 1500 has been redesigned with a sculpted and bold exterior. It’s luxurious interior features 58% more leather than Ford and Chevrolet. Overall, this truck packs performance and unrelenting capability like no other truck in its class. 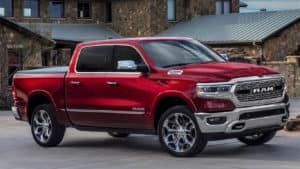 The new 2019 Ram 1500 is now for sale in San Jose starting at $27,890. Let’s talk trims. Keep in mind every trim is offered in a sport or chrome package. The entry level trim is the Tradesman, making for a great work truck it simply gets the job done without all the luxuries. Next up is the HFE, the most fuel efficient trim package for Bay Area commuters. The Big Horn offers moderate style and luxuries both inside and out. For the adventurous off-roaders, the Rebel offers the sportiest trim in its class with an extra 2 inches of ground clearance and 33 inch Goodyear Wrangler DuraTrac tires. 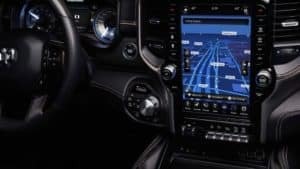 The Laramie trim is the first to offer a huge 12 inch display screen. The Longhorn has softer leather and a western theme to satisfy the country in all of us. Finally, the limited is the last stop on the road to luxury, it refuses to compromise with unrelenting style and class. 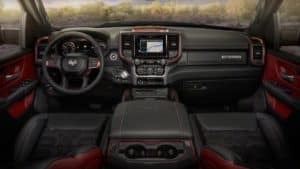 The 2019 Ram 1500 is powered by your choice of a Pentastar, 305 Hp 3.6L V-6, or a Hemi, 395 Hp 5,7L V-8, engine. Both engines offer an 8-speed automatic transmission. The 2019 Ram 1500 also offers a e-Torque system. It comes standard on the V-6 and optional on the V-8. This system consists of a generator in place of the alternator that feeds energy to a lithium-ion battery pack. This technology provides the Ram with smoother and faster starting and stopping as well as torque boost. This redesign, combining smarts and power is inspired by you, and Ram drivers everywhere. This engine ensures power for your long hauling trips from Sunnyvale to San Francisco. It’s best in class V-8 engine can tow up to 12,750 pounds! 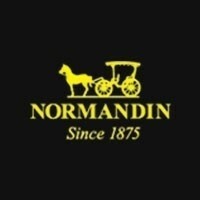 Normandin has been the premier local automotive dealership for the San Jose, Santa Clara, Milpitas, and Sunnyvale areas since 1875. Contact a Normandin representative today to access our huge dealer inventory of Ram trucks. Take a 1500 out for a spin today at our convenient location. 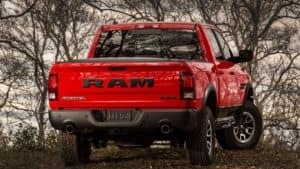 The 2019 Ram 1500 is for sale now.